Home » Thank You! 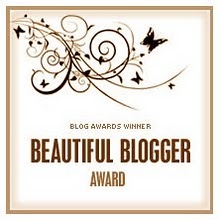 » Two More Awards ~ Help me nominate other blogs! I've been nominated for two more awards!! I'd like to thank Alyianna from Scribbles of a Catholic Teen for passing these awards to me. Alyianna is a wonderful young lady with a wonderful grasp on her Catholic faith! She gives me hope that there are teens and young adults our there who know the faith and have a true relationship with God! 1. Thank the person who nominated you and give thier link. Thank you again, Alyianna! 2. Tell us how the idea of making a blog popped into your head and why you continue it. I actually started a blog for my husband to post the articles he was writing for our local paper, but it eventually turned onto a general family blog to share pictures with relatives who live far away. I was also adding our homeschool, Catholic crafts, and other Catholic activities. I LOVE making up faith-centered crafts and activities! Since the Catholic crafts were getting so much attention, I thought it would be less confusing for all of you if I separated my personal family posts from the Catholic activities posts. That's when I started a "new" blog with only those crafty posts. This is that "new" blog. As for why I continue...well, I've gotten a lot of "thank yous". That helps me see that others are using my ideas and hopefully it's helping them on there spiritual journey. ﻿3. Describe a usual day of your life. 1:00 to 3:00 more cleaning or school and chasing Caleb!!! 4. The best collaboration with a blogger(s). and 5. Worst collaboration with a blogger(s). 6. Explain what this blog means to you. It gives me a chance to share some of my ideas with others out there in the real world, weather that be Catholic families, RE teachers, or other Catholics! So the hard question is: Who should I pass these award to? 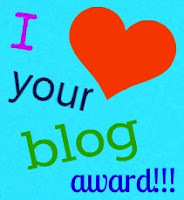 Anybody want to nominate a blog for these awards?!?!?! Good clean family friendly blogs only, please! Yes, it can be your own! Leave me a comment and let me know about your blog or a friend's blog and I'd be happy to visit it and add the blog to my list!! Mary333 nominated: Little Jesus and Me Thanks Mary and congratulations Monica!! Heather nominated: A Womans Place... and Shower of Roses Both are wonderful blogs!! Thanks Heather! Feel free to visit Heather's blog, too! Stop by and take a look at Kimberly's homeschool blog! Thanks to Alyianna and thanks to anyone who offers a nominee for these awards!! Congratulations, Jennifer! Your awards are well deserved :) I still have to get the award you gave me the other week up on my blog - summer is slow for me when it comes to blogging. Monica has a great new Catholic blog! Can I nominate her? Thanks Mary! I just found Monica's blog the other day. It's a very nice blog! I'll add her to a list! And don't worry about the delay in posting the award I gave you, I totally understand!! It took me a month to post about that one!! Tina Marie was very patient! Congrats on your nomination Jennifer. You are well deserving. You are a mom with a large family who takes the time to share with others, And you do it in a way that draws people to you. I have been following your site for quite a few months now and I am happy to have found you. I hope you win. I'll pray for you. Thanks sooo much Kimmie, but I already won! And I win every time I know someone uses these ideas to bring themselves and others a little closer to God! Thanks so much for the prayers! And I added you to the list, just to pass along the fun!!! God Bless! My own blog is often neglected, sadly. I am hoping to get more disciplined, and share more soon. However, I really enjoy the above two ladies' blogs! Thanks so much, Heather! I added them to the list. They are both excellent blogs! Your blog is new to me, I've never had the pleasure of visiting it before! I added it to my list, and hope it brings you a bit of traffic! God Bless!